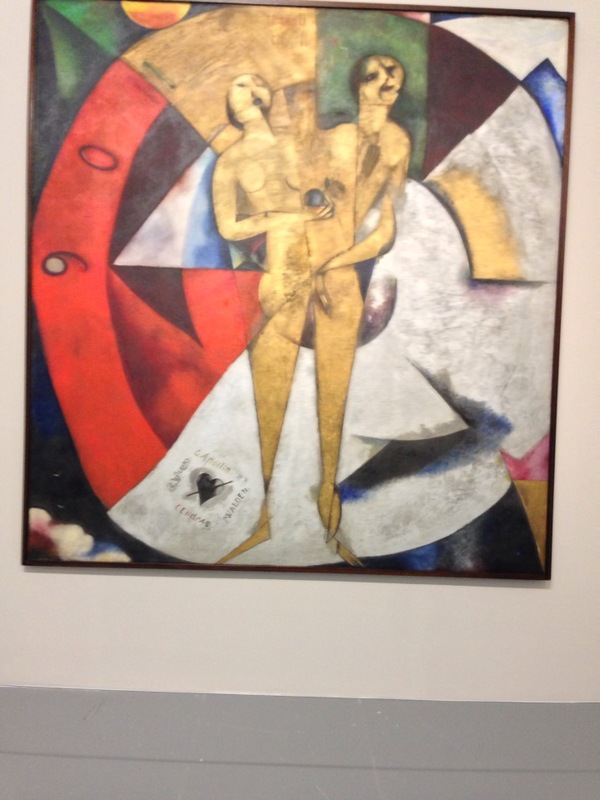 I had been anticipating the Tate Liverpool’s ‘Marc Chagall – Modern Master’ exhibition for quite some time. 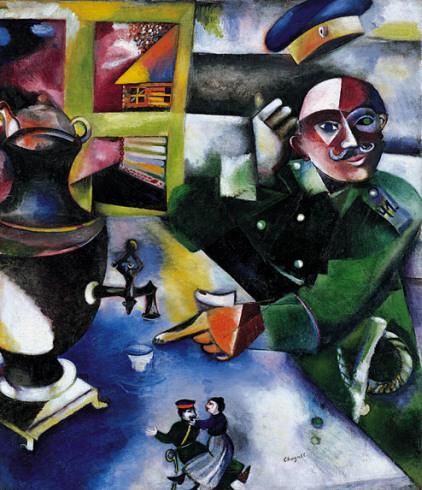 I like to spend a fair amount of time in The Tate anyway, but I’ll be recording a piece for trumpet & organ later in the year, by Petr Eben, dedicated to Chagall’s beautiful stained glass windows in Jerusalem. There would be none of his famous windows on display here, of course, they are still all in place in their buildings around the world. Yesterday, we went to see what was on offer. We were spoiled by 60 paintings and plenty of drawings on display. 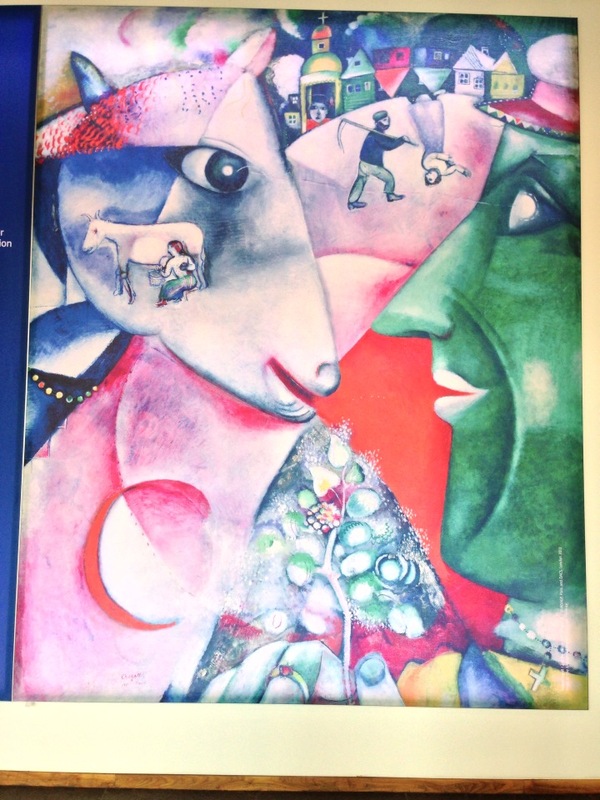 The exhibition is running until October 6th alongside a parallel exhibition of Chagall’s work on display at the Jewish Museum in Manchester. I would recommend the experience to anyone. It is fabulous! 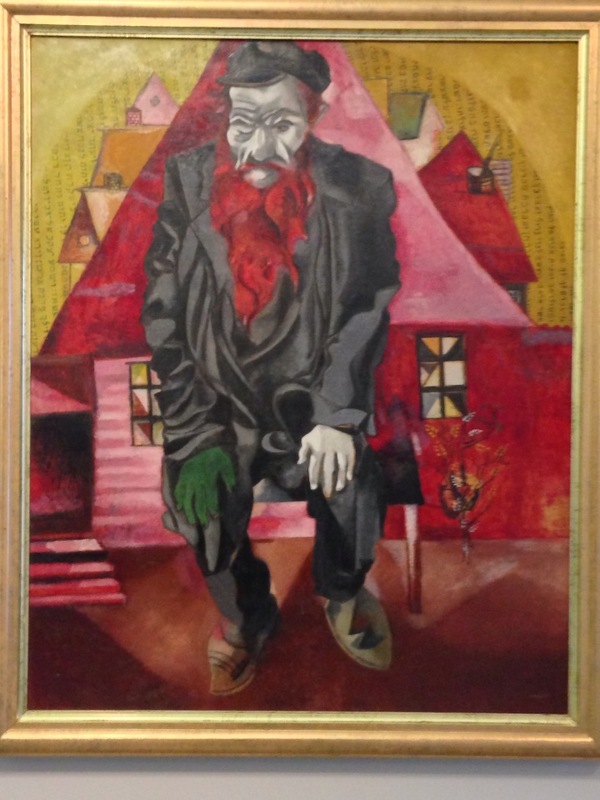 I was especially captivated by this image of Tefye The Milkman, a regular subject for Chagall, the paintings of which inspired the musical Fiddler On The Roof. 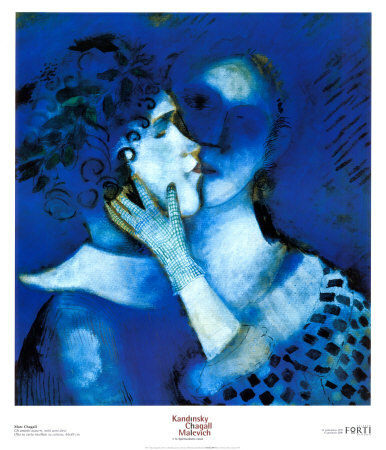 Also on display was one of my favourites, ‘Lovers In Blue’. I just adore the way their bodies appear as one, their mouths as one and their heads appear to take on the shape of a heart. 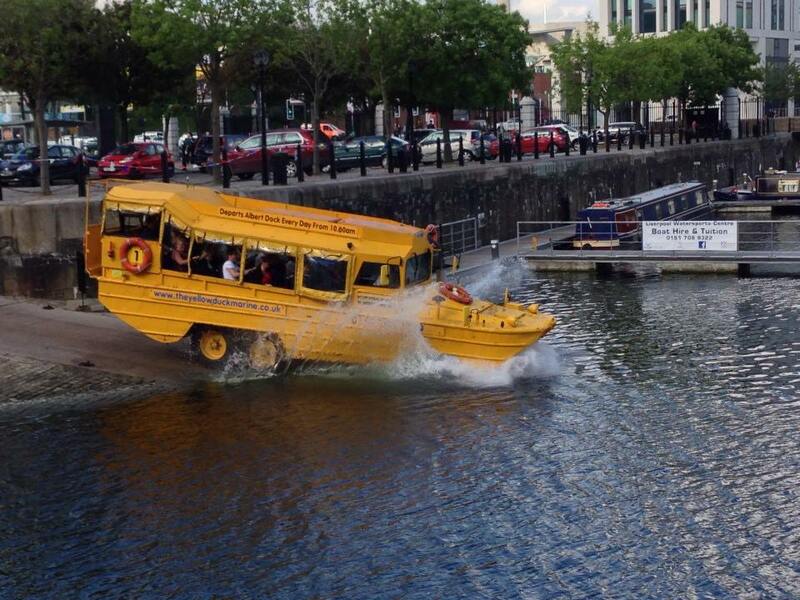 Always a pleasure to see the ‘Duckbus’ splash down outside! 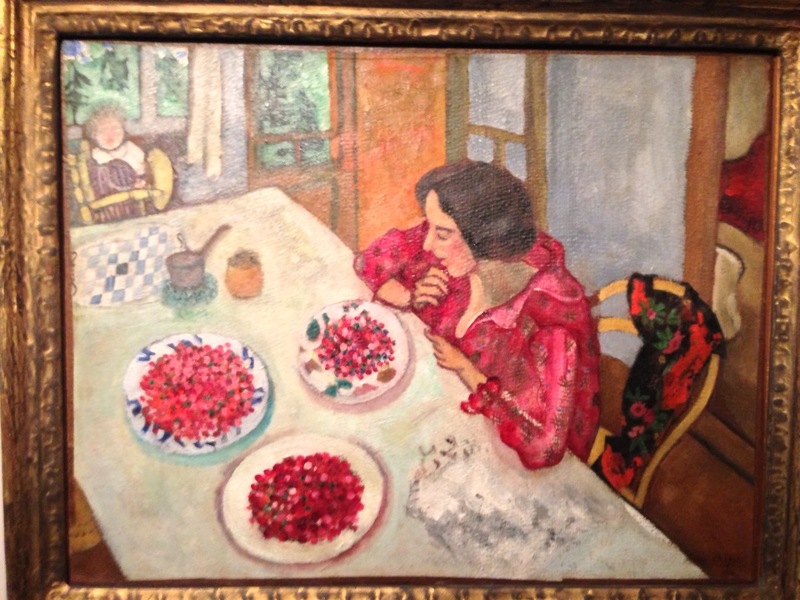 This entry was posted in The Gallery and tagged duckbus, Manchester Jewish Museum, Mark Chagall, Modern Master, Tate Liverpool. Bookmark the permalink.